Video games, to varying degrees, have always grappled with the illusion of choice. From Bioshock’s simple binary Rescue/Harvest mechanic to the absolutely staggering amount of variables in Mass Effect’s epic narrative (leading up to… well, y’know, the ending), developers have endeavoured to give players a sense of control within the all-too-present boundaries of their worlds. Actually, whether or not to murder little girls and extract their fluids shouldn’t really pose a dilemma to anyone. Just last year, Grand Theft Auto V provided us with one of the largest sandboxes ever contained in a video game, and gave us innumerable ways to traverse and interact with it. Beyond: Two Souls, also, was not only a brilliant character study of Ellen Page’s Jodie, but a colossally ambitious exploration of divergent narrative, allowing us to shape the storyline towards numerous different endings through a series of personal and often ambiguous decisions. The Last of Us drew gamers into an agonisingly emotional human drama and summarily tore out their heart at its conclusion. Games such as these made 2013 a year of grand narratives, where developers cautiously tested and stretched the membranous limits of the medium. The Stanley Parable, however, doesn’t struggle at all with the illusion of choice – it is quick to point out that your choices are, in fact, absolutely meaningless. Its absurdist, self-referential style is designed not to immerse the player in the narrative but hold them back from it, and remind them that this is a game, an artificial construct with rules that must ultimately be obeyed. And the brilliantly funny and entertaining manner in which it does this makes it something very special indeed. The game tells the story of Stanley, a dull corporate drone who works in a large, nondescript office building. His job, day-in day-out, is to look at a computer screen and press buttons as he is prompted to do so. He goes home, he goes to work, he pushes buttons. Home, work, buttons. This cycle continues until, one day, he suddenly stops receiving commands on his computer screen and, now completely unsure of his purpose, anxiously leaves his office to find that all his colleagues have disappeared. But hey, he’s still a more interesting lead than that Jensen guy from Deus Ex. 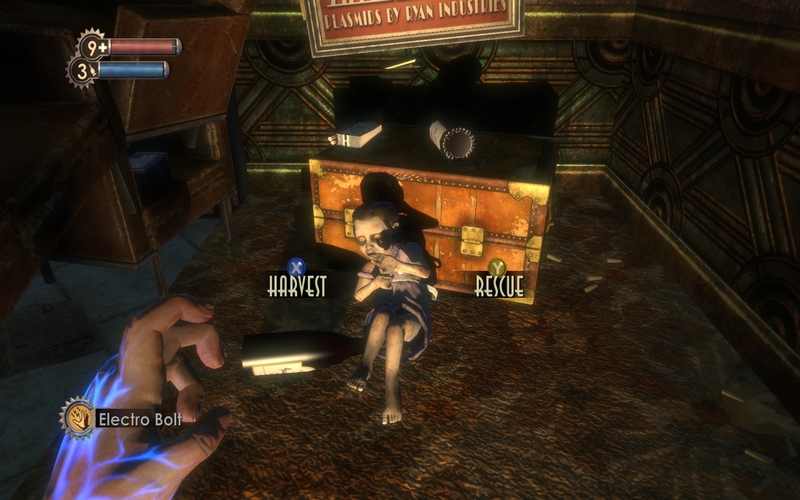 At this point the player takes control of Stanley, and the game’s Narrator (voiced magnificently by Kevan Brighting) continues to tell the story as it unfolds. 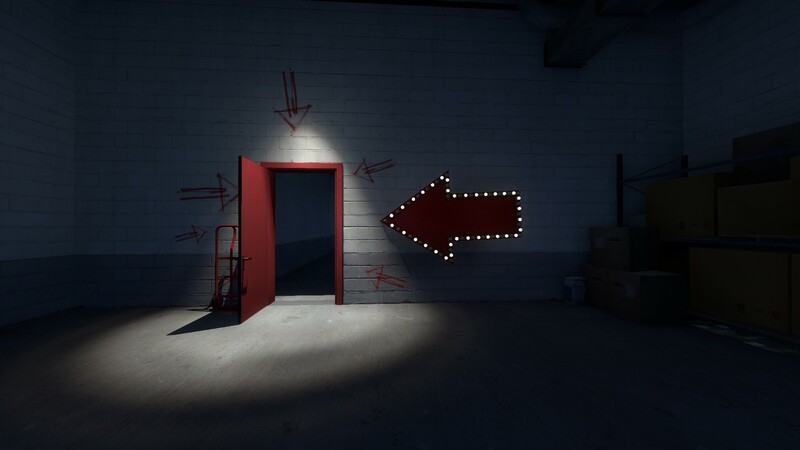 But – and this is where The Stanley Parable becomes so fascinating – the player is offered a series of choices as they proceed, and opportunities to pull away from the intended course of the narrative. Early on, for example, the player arrives at two doors. “He entered the door on his left,” says the Narrator, which of course makes the right even more tantalising; going through the left as instructed allows the story to continue as planned, but choosing the right causes the Narrator to become flustered at the unexpected deviation. As the player makes more and more contradictory choices, the storyline – and in fact, the building itself – begins to warp and unravel, until it reveals itself quite explicitly as a ruse, a digital construct with strict limitations and boundaries. On my first playthough (the game constantly repeats itself), I disobeyed the Narrator’s every instruction without hesitation. I found this fascinating, actually – the more the narrative tried to establish itself, the more I was determined to rebel against it. This is something The Stanley Parable demonstrates so cleverly: our desire as gamers to exert free will within the confines of the setting, to write our own story even as another is laid before us. The Narrator, at times, challenges and mocks Stanley’s attempts to wrest control of the story line, reminding him that he has no power in this world, both as an employee and a protagonist. Of course, whom the Narrator really ridicules is the player themselves, the actual sap sitting at a computer arbitrarily pushing buttons. Though you’ll encounter multiple paths on your journey, the game will often give subtle guidance as to how to proceed. And ultimately, we realise that as he’s exactly right – no matter which unexpected path you take as Stanley, the events that follow are still predetermined. Even in breaking the “rules”, you’re still playing by the rules. 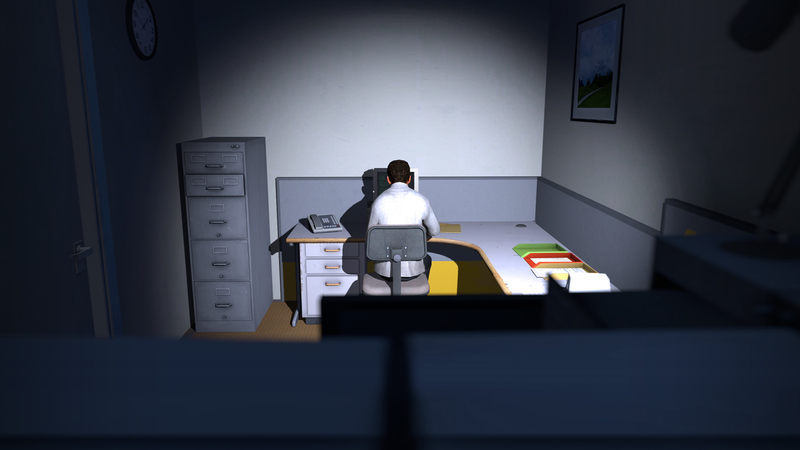 The Stanley Parable spares no opportunity to satirise other gaming tropes and clichés in its self-examination. 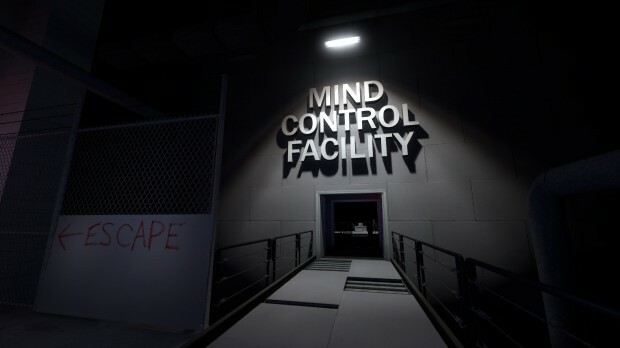 The game’s unlockable achievements include “Commitment – Play The Stanley Parable for the entire duration of a Tuesday” and “Go Outside – Don’t play The Stanley Parable for five years”. If the player uses Steam’s console to enter cheats, the Narrator transports them to The Serious Room (which features the most devastatingly serious table I have ever seen) where they are made to wait for several trillion years. Essentially, the game ridicules its very nature as a game at every turn. Subtle guidance. Just a nod, really. Whatever the form its satire takes, however, the one galvanising element of The Stanley Parable is Kevan Brighting’s Narrator. Not since Portal’s GLaDOS have I encountered such an entertaining omniscient voice. He’s dry, eloquent and backhanded in his encouragement – he admonishes Stanley, warns him, praises him, insults him, manipulates him and threatens him, but only in service of the game he has created and story he is trying to tell. And while he is the supposed author of this plot, he is also just another character within it, often confounded or frightened when its boundaries are pushed. The best example I can give of his blithely patronising banter is this response to one of the game’s critics, quoting an actual email that was sent to the developers at Galactic Cafe. The Stanley Parable is not a long game – while it has many endings, some quite difficult to find, you’ll probably play through most of its content in just a couple of hours. But it’s a beautifully written, cheekily designed work of interactive art that challenges our assumptions of gaming and of storytelling in general; it’s a game that playfully dismantles itself and puts its naked bones on display. And, more importantly, it explains itself in a way that literature and film cannot, drawing in the player and daring them to forge their own path against all reason. This is one of those titles you just have to experience. And for only $15 or so through Steam or the game’s official website, there’s really no good reason not to. I’ll leave you with a short instructional video about Choice, which features in the game. Enjoy.